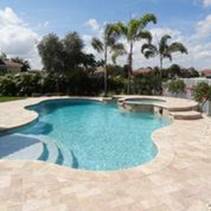 At Treasure Pools and Service, we generally complete our customers’ new swimming pool construction in 90 days once the custom design has been approved. Once we visit your property, analyze the project, develop a 3D drawing that includes all the desired options of the homeowner, we will provide a timeline with an estimated completion date. 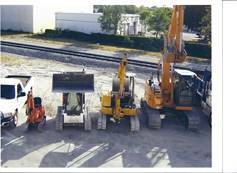 Of course the schedule can change depending upon weather and inspection delays. 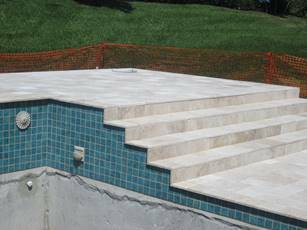 Here is what you can expect during the construction of your swimming pool and how our Pay As You Go works after initial deposit is made. 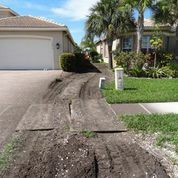 Prepare property for construction vehicles to protect driveways and walkways. 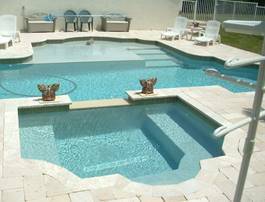 Layout pool design in backyard. 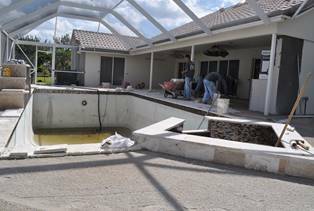 Excavation – dig out pool, usually done in one day. 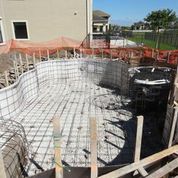 Frame out pool with reinforcing steel. 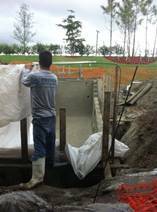 Set up and concrete structure – Gunite is applied. Strip form wood and back fill for plumbing. 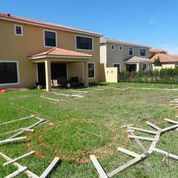 Dig plumbing trench and install plumbing. 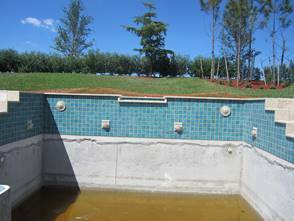 Install pool coping and tile. Second payment due upon completion. Prep yard for pool deck. Install bond grid for deck bond inspection. Upon completion of deck we will grade yard again. Final grading will be completed and construction site will be ready for sprinklers and landscaping. Third payment due upon completion. Call for electrical and barrier inspection. 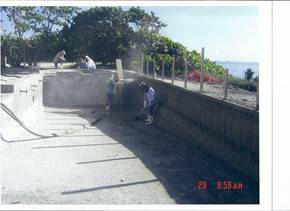 Install aggregate chosen by homeowner – Diamond Brite, Pebble Tec, etc. At this time all customer responsibilities must be completed in order to receive final payment.